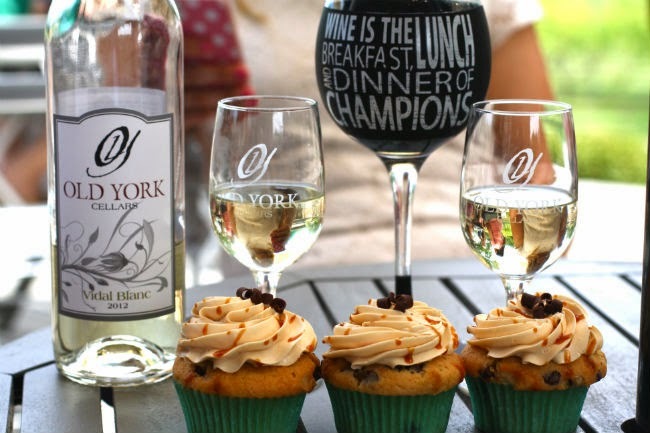 One of my favorite summer outings with my girlfriends is visiting the local wineries. We love taking the ride out to the countryside to bask in the sun, stroll through the lush green vineyards, and most importantly, toast to a beautiful day filled with a delicious glass of wine. 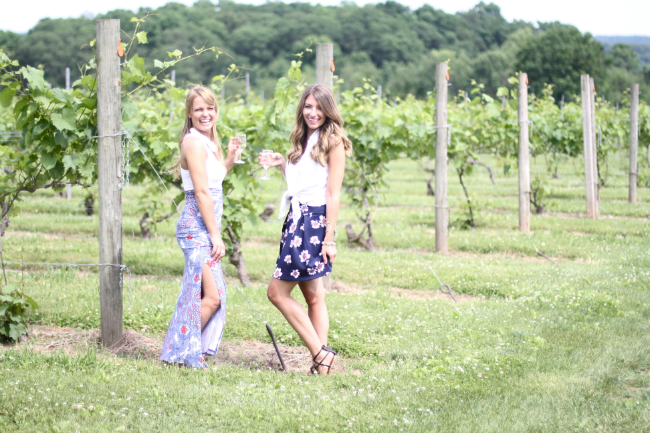 I recently took a trip down to Old York Winery in Ringoes, NJ to celebrate a very special occasion with my two amazing best friends, Samantha and Lauren. The celebration you ask? Samantha's birthday of course! We tend to focus our get-togethers around relaxing events such as beach trips, mani/pedis, shopping, and of course... wine tasting. Whether you're heading to the rolling hills of central New Jersey or to the sprawling vineyards of Napa Valley, the style expectations remain the same. It's a time to dress lightweight, carefree, and girly! 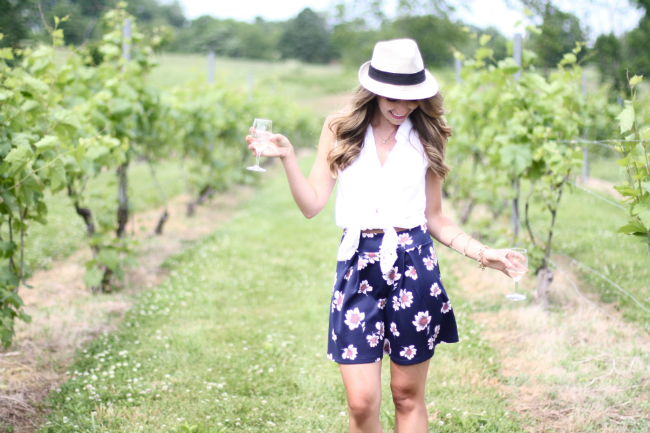 A trip to the winery never disappoints, so your style shouldn't either. 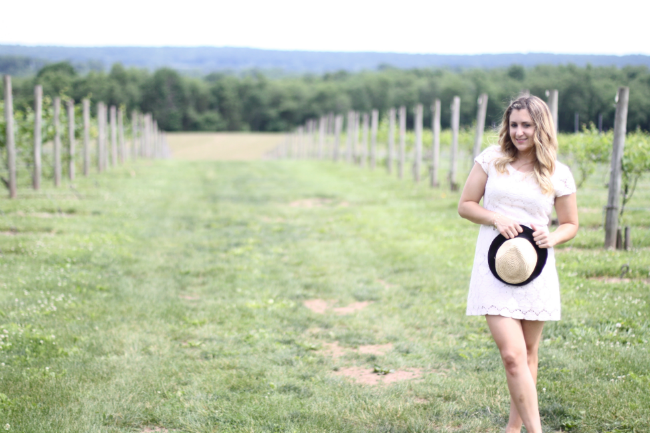 To help you spend your next wine tour in style, I put together some simple style tips. Loose flowing skirts paired with a sleeveless blouse creates an effortless look that screams simple and chic. Reach for colored skirts with feminine details like floral prints. 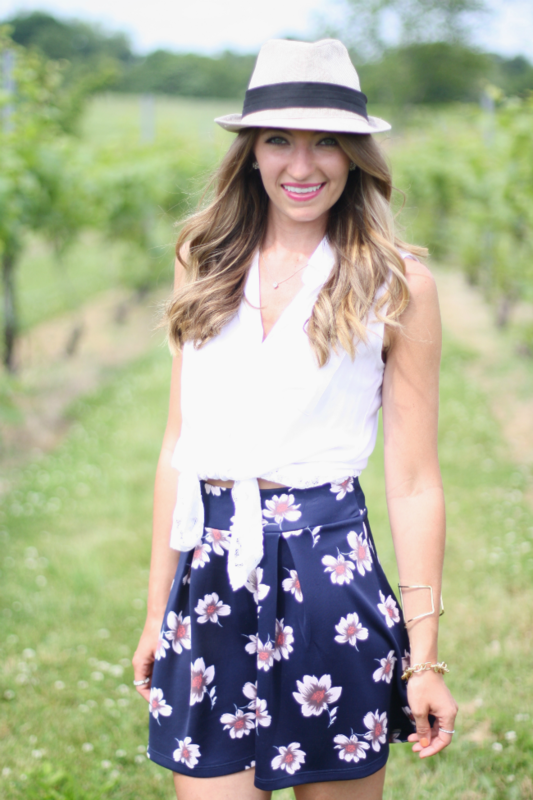 How adorable is this daisy-printed skirt I'm wearing from Charlotte Russe? The deep navy off-set by the light pink florals add interest to the outfit and help to highlight the lower half. These colors work well with any skin tone and let's face it, who has a bad day in floral print? No one! Browse more fun floral skirts here. For the extra glamorous factor, add big soft curls to your hair and simple jewelry. Don't forget to grab your favorite fedora or posh straw hat. It will dress up your outfit, and protect your skin from the sun. Comfortable and casual maxi dresses/skirts will help keep you cool even when the weather is scorching hot! Maxi skirts are classic investment pieces and they can be reinvented all summer long. 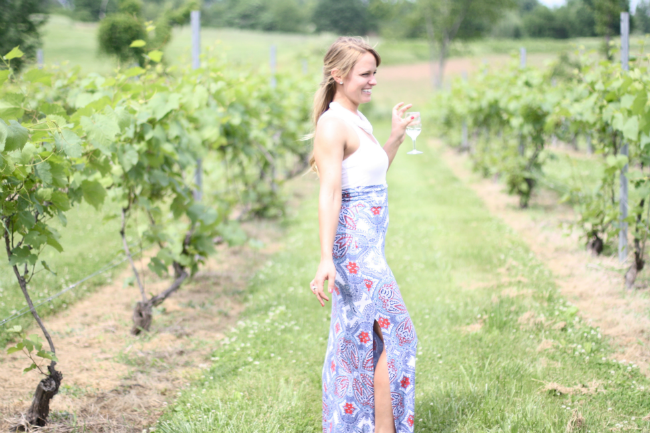 I love the bold prints of this Maxi skirt from Charlotte Russe as featured here on Lauren! 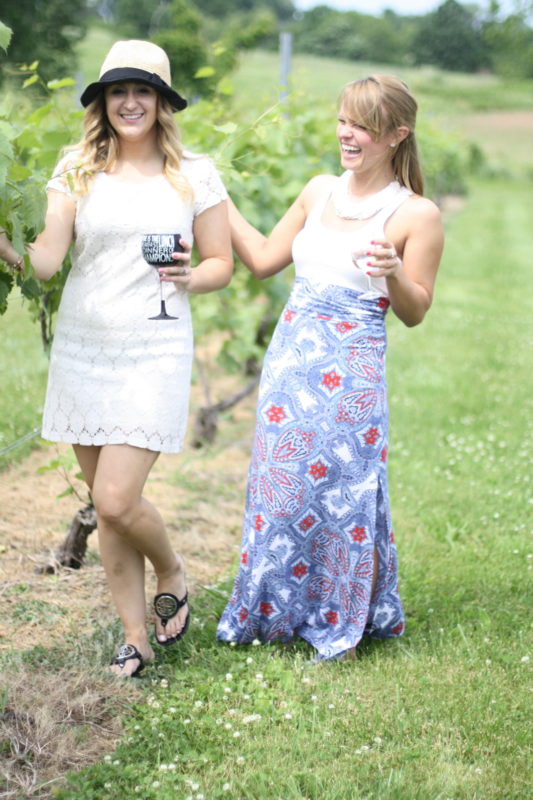 Wineries call for fun and flirty dresses. It's best to choose a dress that's a couple of inches above the knee, and not too form-fitting. Remember, it's hot out in the vineyards. Tight dresses will make for an uncomfortable and unhappy experience. So reach for your favorite little white dress, just like Samantha did here! An excellent way to remain comfortable throughout your entire wine-touring experience is to wear flat sandals. Chances are you will be walking through the vineyards and fields. There's no time for wobbly stiletto heels, especially after a few glasses of wine ;).